What would tempt a 13 year-old boy to make a pact with a demon? That was my first question as I set about creating a children’s version of the legend of Doctor Faustus (The Tragickall History of Henry Fowst, out 28th August). Young Faust was already forming in my mind – or rather, two young Fausts: hero of the story Henry Fowst, and his 16th century counterpart, John Striven. Both boys are hardworking and keen to learn – traits which come close to Doctor Faustus’s striving after knowledge – but somehow the idea of either of them giving up his soul in exchange for learning failed to convince me. Learning is what children do anyway; why would they want more? Even the prospect of supreme power might not be all that alluring for an ordinary 13 year-old boy, not unless I was writing a dystopia in which the hero has to Save the World. And I wasn’t. Then it came to me: the catalyst for both Henry’s and John’s actions wouldn’t be desire; it would be desperation. What if your problems were so great that no one – not friends, parents, teachers, last of all yourself – could help you? If you happened to stumble across instructions in an ancient manuscript on how to summon a demon to your aid… well, wouldn’t you give it a go? FAUSTUS: Come, I think hell’s a fable. MEPHISTOPHELES: Ay, think so still, till experience change thy mind. Desperate as Henry and John are, in their separate predicaments, I just couldn’t see them inviting danger and darkness into their lives, as if they were a pair of J K Rowling’s Deatheaters. For a while, I was stumped. 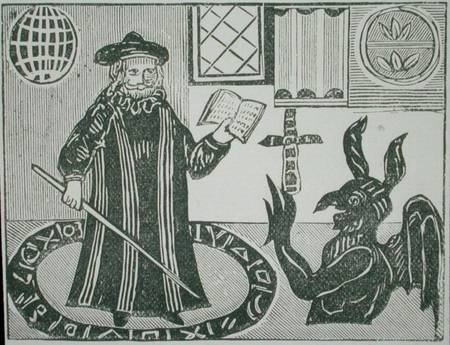 Then I did some research into Elizabethan attitudes to magic – and got my answer, which I’ll reveal in my next post. A momentous thing happened this weekend. I passed the text and covers for The Tragickall History of Henry Fowst for press. See, I said it was momentous. OK, not in the greater scheme of things. But that point when you stop correcting and rewriting (even at page proof stage – shocking, I know) and decide that yes, you could go on tinkering for ever, but with editors, friends, relations, readers and the nice man delivering a package who clearly wished he hadn’t ALL telling you it’s fine, and you sign it off – yes, that. When you watch your book sail beyond your reach into the hands of publishers and printers and wait for it to emerge in numberless copies, bound, gleaming, and with that wonderful smell of new paper and ink. Gulp. But despite the butterflies, I can’t wait. 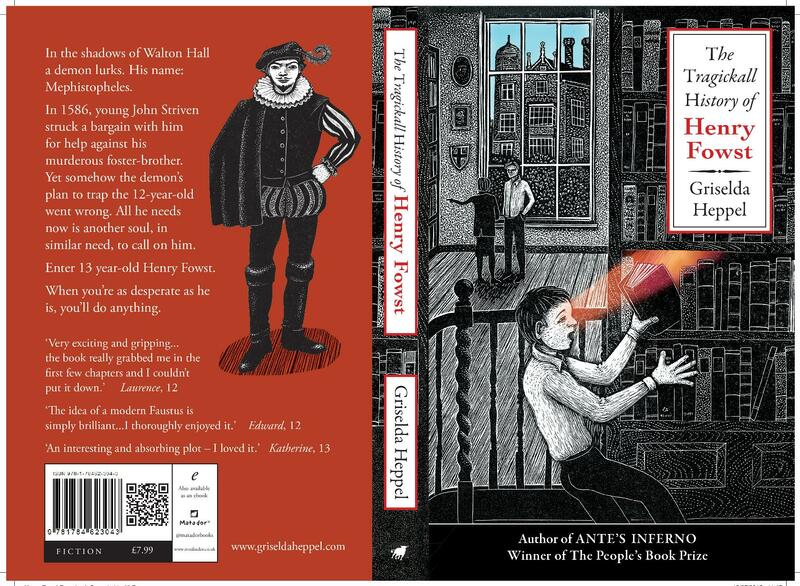 This stunning cover (designer, Pete Lawrence; artist, Hilary Paynter) – showing the moment 13 year-old Henry stumbles on a mysterious, ancient diary in the school library – expresses so well the magical atmosphere of The Tragickall History of Henry Fowst that I’m longing to see it wrapped around the finished copies. The proof of the pudding is, of course, in the eating. With publication day on 28th August, I’m banking on hordes of readers returning from their holidays having devoured every book in sight and casting round hungrily for more.